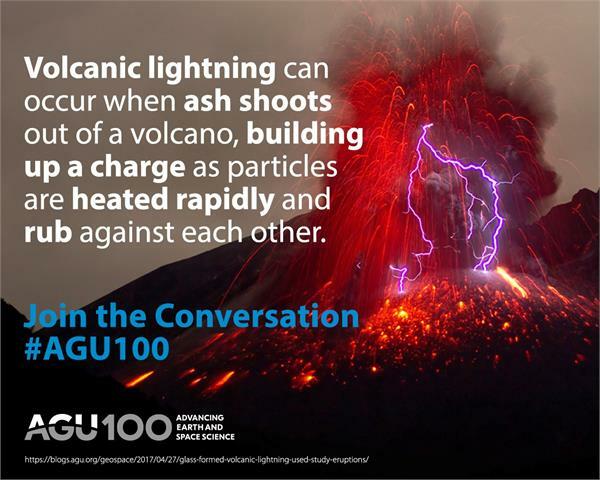 For AGU's 2019 Centennial celebration, we are collecting relevant and meaningful facts and figures about Earth and space science. From all the facts provided, we will choose 100 to showcase monthly on AGU's social media accounts starting in June 2018 and running through December 2019. We intend for these facts to showcase the history, breadth and success of geoscience research, as well as the scientists whose work has had a real impact on peoples’ lives. We also hope to identify and communicate about issues and discoveries that are important as we move into the future. Anyone can submit a Fact or Figure. Please share the collection link with your communities. To support this effort and submit a fact for potential use, please answer the questions below.